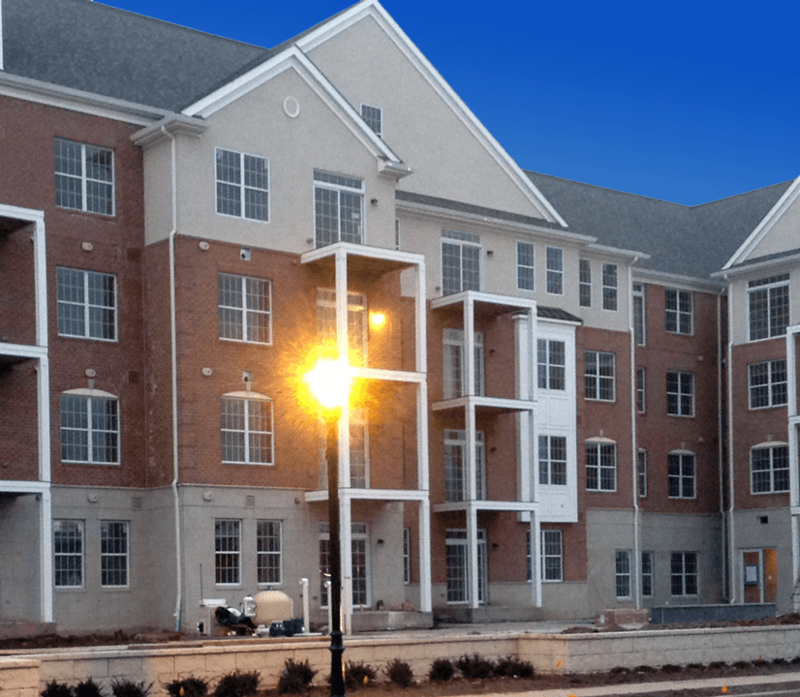 When designing the retaining wall for this mixed use development, the owners wanted a larger scale block that would coordinate with the “limestone” veneer that wrapped around the first floor of the building. With retail store fronts on the first floor and luxury apartments above, it was imperative to achieve a coordinated look. There were also limitations for excavation behind the wall, which limited the lengths of geo grid. 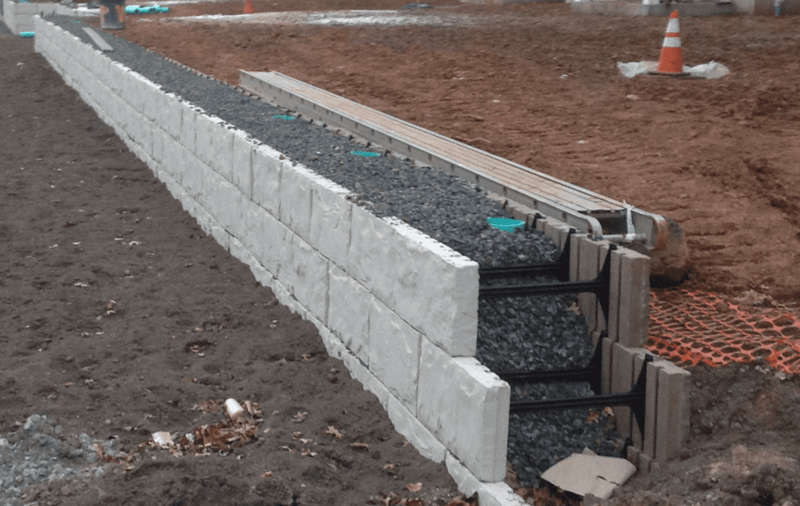 Mega-Tandem™ Mass Segmental Retaining Wall™ was able to provide both site and aesthetic solutions to meet the project’s construction needs. In addition, Belgard was able to create a specific color match to coordinate perfectly with the building’s façade.